My latest In Good Faith Column takes us to Kentucky where I recently spent some time with Bishop Doug Hahn and 45 priests and deacons from the Episcopal Diocese of Lexington. Leading a clergy conference on creativity in ministry was great but not being able to sit in the back and Tweet snark was surreal. Fortunately for me, the lack of WiFi meant karma couldn’t bite me back. With Laurie Brock in attendance, I dodged a bullet! (that’s a wild west reference for those keeping score). From a spiritual perspective, we’re offered a number of first chances and last chances. Every day in every moment, we’re offered a first chance to turn our hearts to God. The door is always open, the arms are always wide, the welcoming embrace is always offered, the invitation always stands. Sometimes that first step into genuine relationship feels like stepping off a cliff — it’s called a leap of faith, after all. But that letting go is part of living into that first chance to be with the divine — a chance we’re asked to take again and again and again. Last chances are trickier. 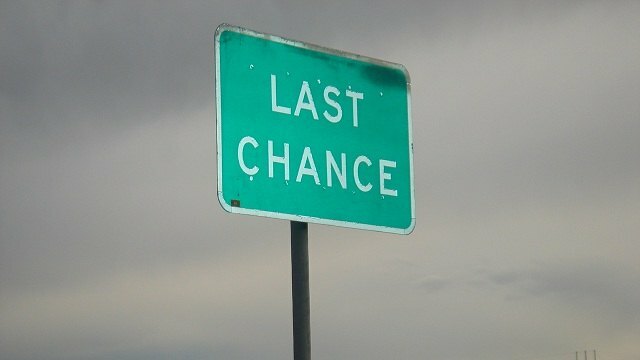 A last chance feels like an ultimatum: “Turn to God or else…” Preachers have fed off the fear of the last chance for generations and, while it’s occasionally effective in keeping people in line or coming through the doors, I don’t believe it gets to the heart of God. Coming face-to-face with the last chance of God’s judgment is always within the context of God’s loving mercy. The merciful judgment of God demands that we take God up on the first chances we’re continually offered to serve God and one another. Regardless, whether it’s a first chance or a last chance, we’re always encouraged to take a chance on God’s love. I had a good time in Kentucky and I hope it won’t be another 21 years until I make it there. 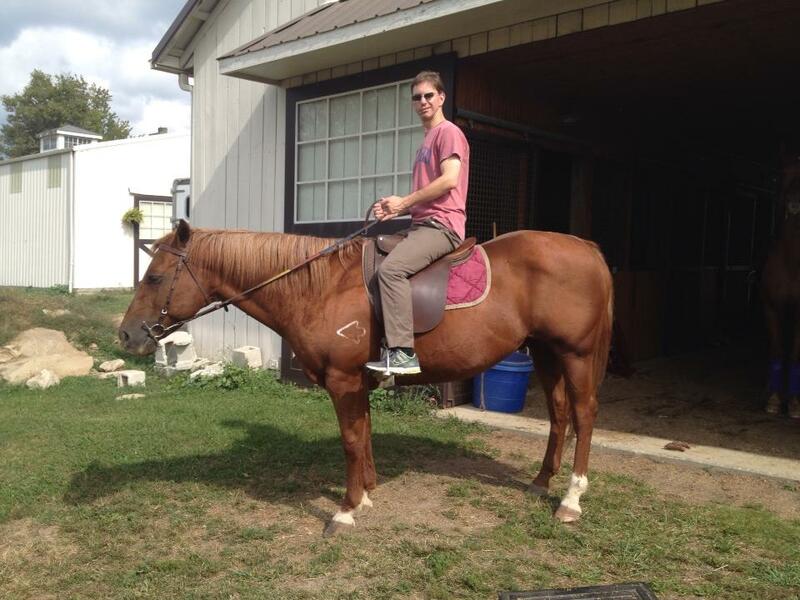 A clergy friend of mine in Lexington set me up with a riding lesson — I was eight the last time I rode a horse. There I was sitting atop a docile beast named Jack circling the ring along with five other riders, all elementary school-aged girls. The smile plastered on my face the whole time had nothing to do with the bourbon I knew I’d be sipping later. Well, you look all comfy and relaxed on your fearless steed. I’m sure you did a fabulous job leading the diocesan clergy conference. My remembrances are always fresh and lasting because I am a graduate of the diaconal training program from the Episcopal Theological Seminary in Kentucky (ETSKY) when the Rt. Rev.Don Wimberly was the Bishop in the Diocese of Lexington.